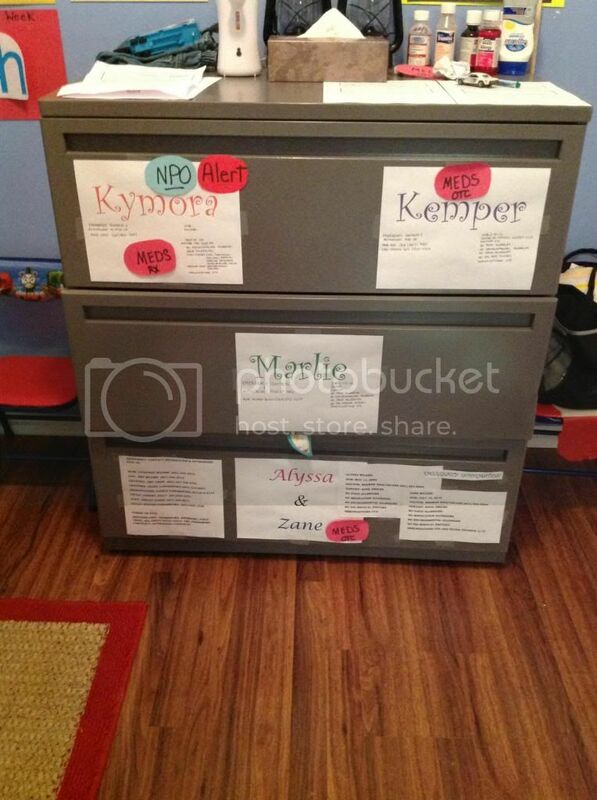 What do you use to organize all of your curriculum things? The only thing I can think of is a bunch of tubs ... but I don't know where I would store all of those. I don't have a lot of room to work with. Bu I would need something large enough to store the themed books, sensory bin materials, etc. Do you keep a sample project of each craft you do, or do you take a picture to remember? I bought bankers boxes to store all my items from each unit. I store them all in a closet labels facing out. I keep a copies of all my worksheets in a file in the box. I also printed out pictures of all the art projects to go along with that unit, on a photo sheet and laminated it and keep it in the box. I know that you said you don't have a lot of room but I also use bins. I use the plastic file containers from office supply stores and put those green hanging file folders in them. I don't do them by "theme" per say because I do an entire month long theme and then break that theme down into sub-themes etc. so I plan my activities by day (day 1, day 2 etc). I have one sometimes 2 hanging file folders per week and then have each day in separate regular folders. This helps me out a lot keeping things organized this way because I can keep an entire summer's worth of activities planned in one bin and two months worth of regular activities in a bin. It make take up room but the time saving is totally worth it.